Instead of reading just a science book, my teacher inspires me when our class goes outside and lets us have fun with experiments. 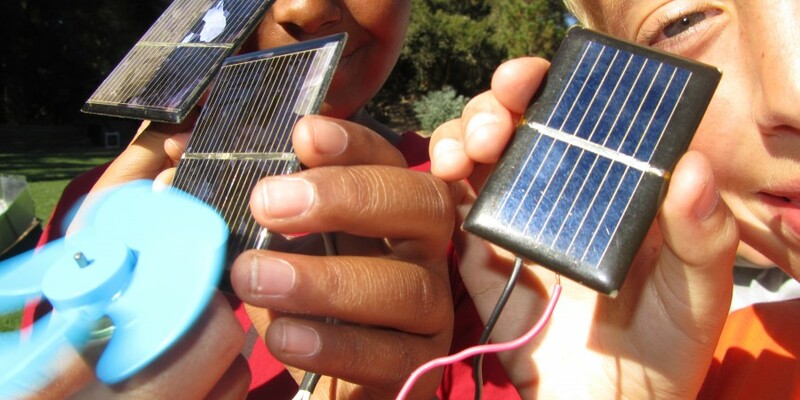 This picture was taken at Mission Springs, an outdoor education camp near Santa Cruz, and shows students using solar panels to power electric fans. There are two wires, connecting the fan with the solar panels, completing the circuit. When the sun hit the solar panels, the panels transferred the energy from the sun to power the fan. Our teacher inspires us because he isn’t like all of the other teachers at our school.